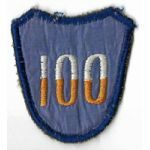 1940's-1950's Theatre Made 100th Division Patch. Korean machine embroidered. Used. 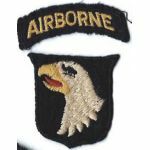 WWII 101st Airborne Division Patch. English hand embroidered on wool. Two piece. Used. 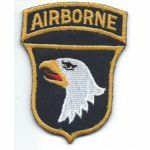 101st Airborne Division Patch. German machine embroidered on twill. Post war period. Unused. 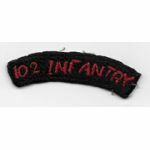 Occupation - Early 1950's 102nd Infantry Tab. Japanese raw silk, quilted hand embroidered construction. Used. 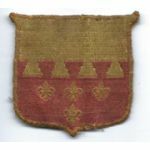 WWII - Occupation 106th Cavalry Pocket Patch. I believe these were French or German made. Has been removed from a uniform. 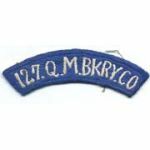 Occupation - Early 1950's 112th Cavalry Rarin To Go Tab. Japanese raw silk, hand embroidered. Used. 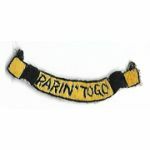 Occupation - Early 1950's 112th Cavalry RARIN TO GO Tab / Patch. Japanese raw silk, hand embroidered construction. Used. 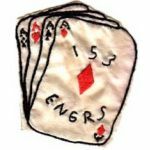 WWII - Occupation Theatre Made 113th Cavalry Regiment Patch. Silk woven construction. Unused. 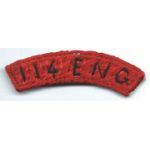 WWII Occupation - 1950's 114th Engineers Tab. Japanese raw silk construction. Used. 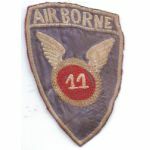 Late 1940's - 1950's 11th Airborne Division Patch. German chain stitch embroidery on a silk / sating type background. German made. Used. 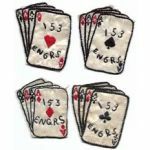 40's-50's 11th Armored Cavalry Regiment ALLONS Pocket Patch. German machine embroidered on twill. Used. 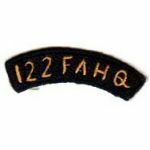 Occupation - Korean War 122nd Field Artillery Headquarters Tab. Japanese raw silk, hand embroidered. Used. 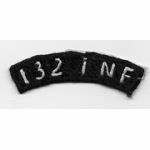 1940's-1950's 132nd Infantry Regiment Tab. Japanese quilted raw silk. Has been used. 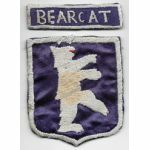 WWII Occupation Period 136th Infantry BEARCAT Patch Set. Japanese raw silk hand embroidered. Two piece. Both are used. 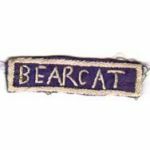 WWII Occupation - Korean War 136th Infantry Regiment BEAR CAT Tab. Japanese raw silk, hand embroidered. Used. 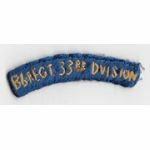 Occupation - Early 1950's 136th Regiment 33rd Division Tab. Japanese raw silk, quilted hand embroidered construction. Used. 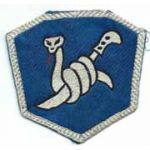 WWII - Occupation Period 158th Regimental Combat Team BUSHMASTERS Theatre Made Patch. Japanese silk woven construction. Used.